The top I made for myself can also be called the "Show off my gigantic gash of a scar" top hehehe. 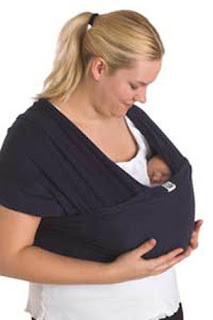 The fabric was a very strong knit and a beautiful navy blue colour. 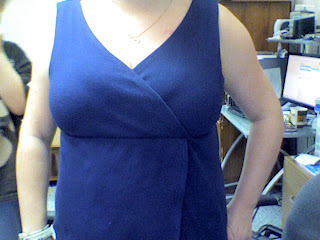 I chose to use New Look 6572 (View D) - that's the top the model is wearing in the photo. 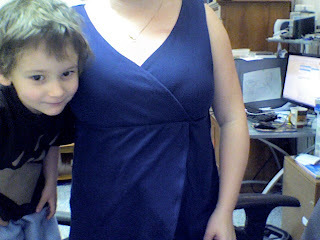 I didn't change much - just sewed according to the pattern (yeah... you really did read that right - *shock*). I didn't add the bow though and I didn't want to add any fancy trim. 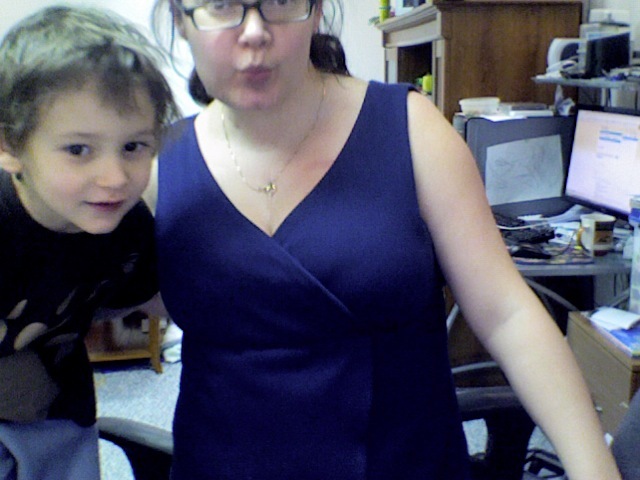 I just wanted a nice looking, loose fitting spring top that I could wear after surgery and not have it rub against any of the wrong places. It'll go with almost anything, pants, skirts, capris, whatever. Logan really needed to be in on all the picture taking. 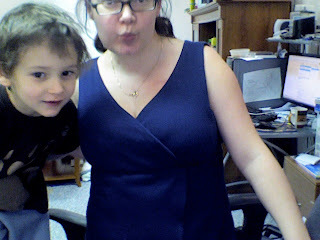 I just used the webcam since Terry was busy cooking dinner upstairs and I didn't want to interrupt and bug him to take photos. Turned out super nice though. And it's still cuddly!